The Canadian consumer market offers a wide variety of products to residents of Georgetown, Vaughan & Richmond Hill. However, every year thousands of Ontario residents are injured as a result of dangerous products. Many of the products on the shelves of our local stores are imported from outside the country, meaning they may have been subjected to substandard levels of quality assurance and control. In some cases, products that were manufactured in North America are subject to manufacturer recalls, although it usually takes several people to be seriously injured or killed for a recall to be issued. Harmful and dangerous products can range from toys that pose a choking hazard, to electronics with poor wiring that can cause fires or electrocution. We often hear on the news about a recall being issued for a particular product. More recently, a top auto manufacturers has encountered legal troubles because a recall took too long to be issued. If you have been injured by a dangerous product, you deserve to be compensated for your injuries. The experts at RPC Law have successfully represented victims from all over Ontario who have suffered injuries caused by dangerous products. We have recovered millions in compensation for these victims and their families. 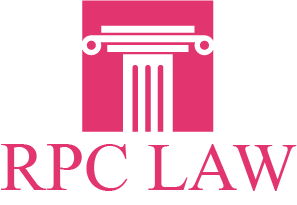 Contact RPC Law for a free, no obligation consultation, and put our professional legal team in your corner. We will ensure that you are treated fairly and receive all of the compensation to which you are entitled. Don’t suffer in silence. Call RPC Law in Vaughan, Georgetown or Richmond Hill now and put the top team of personal injury lawyers on the case. We will ensure that justice is served.